TYTAN Wipes at Tamarack Materials, Inc.
TYTAN Wipes may be used to remove most unwanted uncured foams, sealants, and adhesives. Use the wipes to clean any unwanted TYTAN Foam off the outside of an applicator gun. Thoroughly cleaning the TYTAN applicator guns will extend the life of the tool and improve efficiency. 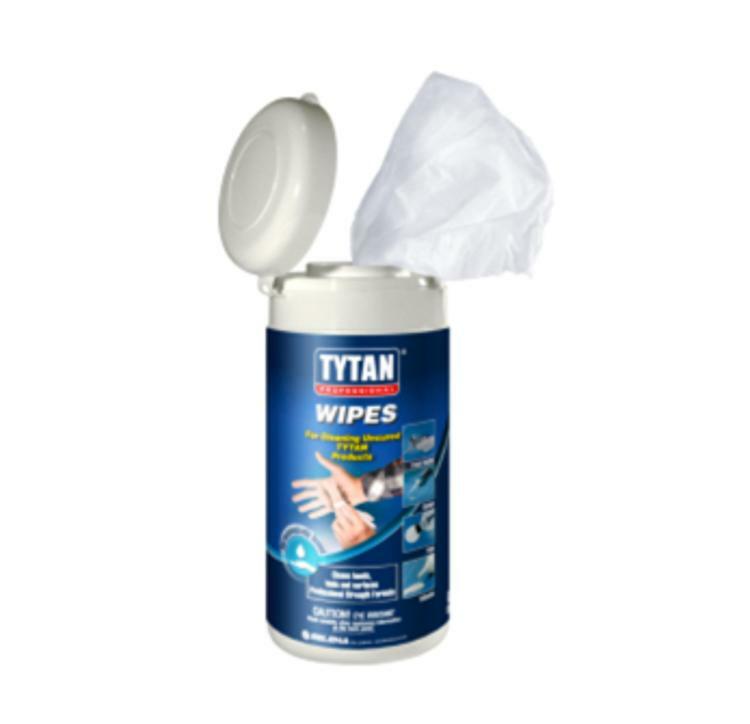 TYTAN Wipes also clean away any unwanted uncured TYTAN Coat & Seal. Begin cleaning as soon as possible. Waiting more than five or ten minutes could result in needing to remove the material mechanically. Be sure to wear gloves and protective clothing while cleaning. TYTAN Wipes may be used on most construction materials or even fabrics but may cause discoloring or leave an unwanted residue. TYTAN Wipes will not remove cured foams, sealants, or adhesives. Cured foams, sealants, and adhesives must be removed mechanically.